If there was any drawback to Microsoft’s first-generation Wireless Display Adapter, it’s that the lag between your phone and tablet and what was displayed on the screen was a bit disconcerting. Microsoft says that’s been fixed in a new version, which it released Wednesday. The new Wireless Display Adapter will be sold for $49.95, roughly the same retail price as the older version after discounts. It will be available at the Microsoft Store, Amazon, and Best Buy. One end of the Microsoft Wireless Display Adapter is inserted into a display’s HDMI port, while the whole thing is powered over USB. You might think of the Wireless Display Adapter as Microsoft’s version of the Google Chromecast—and it is, in broad strokes. 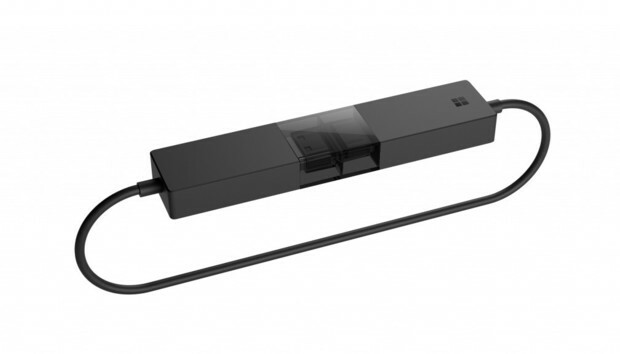 Microsoft’s Display Adapter, though, uses the Miracast technology to establish a private wireless connection between your Windows tablet and the display dongle. Because the Wireless Display Adapter had to send what your phone or tablet wanted to display over the air, a bit of lag tended to occur. Microsoft promised it's eliminated or at least mitigated this issue. You won’t find Miracast in Android tablets commissioned by Google, but because the technology is built into the integrated Intel Wi-Fi technology built into Intel-based PCs, it’s pretty much a staple of most Windows PCs and tablets. An Android phone or tablet is used to control a Chromecast, meanwhile, which in certain cases (while streaming YouTube, for example) creates its own independent wireless connection to stream content. That’s sometimes useful, as a Chromecast doesn’t have to use your device as an intermediary once streaming begins. The drawback: When you’re using an Android app like Google Sheets, you can’t extend your screen onto a Chromecast to create a second, independent display. With Miracast and Windows, however, you can, making you more productive. Why this matters: Personally, I’ve always found a direct cable connection works best when establishing a second screen. But this isn’t always feasible when trying to connect to a large external display, like a television. HDMI connections are becoming ubiquitous in hotels and conference rooms, however, and a device like a Wireless Display Adapter is becoming a handy gadget. « Discount Codes for 2/17. Tech Deals Happening Right Now.